We are offers a wide variety of steel belt systems precisely made to the customer’s specifications and requests. Among others, the company supplies steaming tunnels, steel belt dryers and steel belt coolers. The company’s focus is also on producing single and double belt coolers. Single belt coolers are an exceptional choice for low viscous materials with minimum specific heat, and low density as well as for the manufacture of molded materials such as pastilles or the processing of various flakes or high viscosity strips. 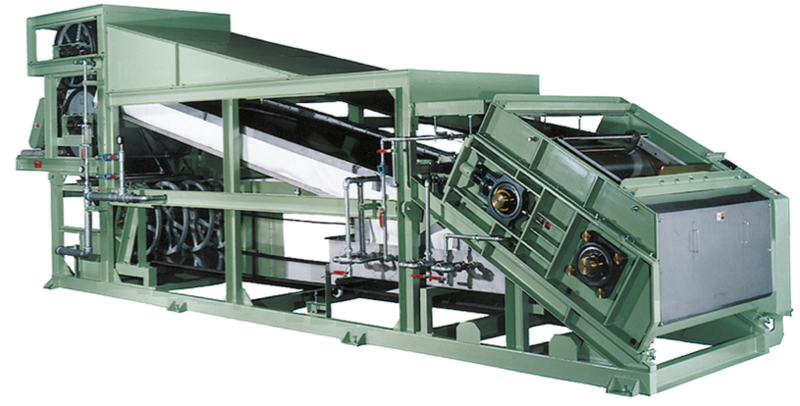 The double belt cooler is used for processing materials of low and medium viscosity. Common devices attached at the beginning of the steel belts are overflow feeders or press rollers. 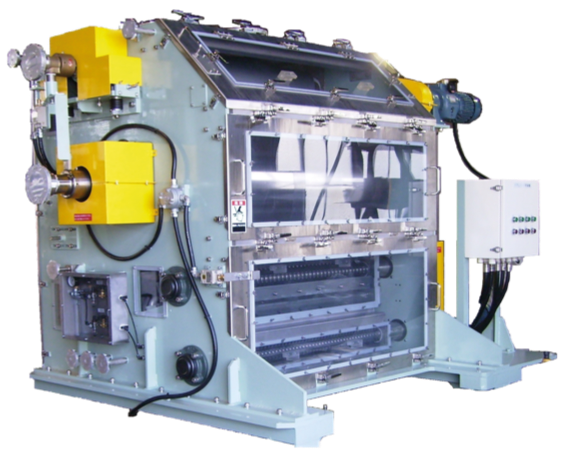 This device is used to roll the fed material into sheets: The material is pressed at the inlet by the infeed drums of the steel belts and efficiently cooled by making contact with top and bottom steel belt. This cooler is also an exceptional fit for materials with a high viscosity of up to 100,000 mPa.s and a high melting viscosity. As a result, materials such as toners, EMC (epoxy molding compounds), powder paints and flakes made of phenolic, polyester and acrylic ester-styrene resins can be processed with superior quality. Thanks to its combo design with cooling drum and steel belt, this cooler is a particularly space-saving and compact model. The machine is exceptionally well-suited for projects in the area of research & development and for pilot stage of production.